UPDATE 1.40PM: A 13-year-old boy has been taken to the Mackay Base Hospital in a stable condition after being impaled in the arm by a bamboo spear from Papua New Guinea around 12.30pm today. The incident was said to be an accident that occurred while two brothers were playing with the spear. The injured boy's grandmother, who wished to remain anonymous, said the two were "having a play" before the older brother was stabbed in the upper arm. "They asked 'Nan can we have one of these spears' and I said 'be very careful what you do'," she said. "And it would have only been another 15-minutes before it happened." 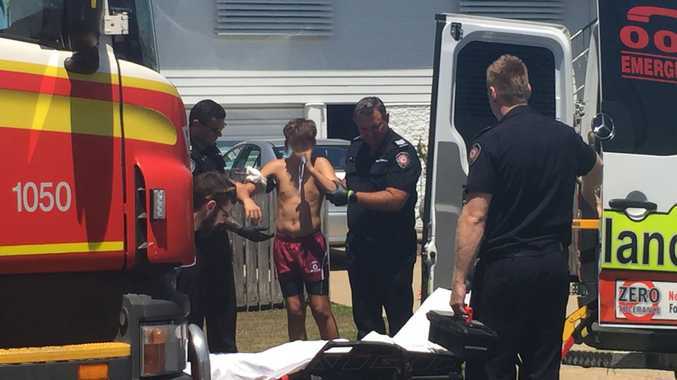 BREAKING 12.50PM: PARAMEDICS are on scene at a South Mackay house where a person has been 'impaled'. 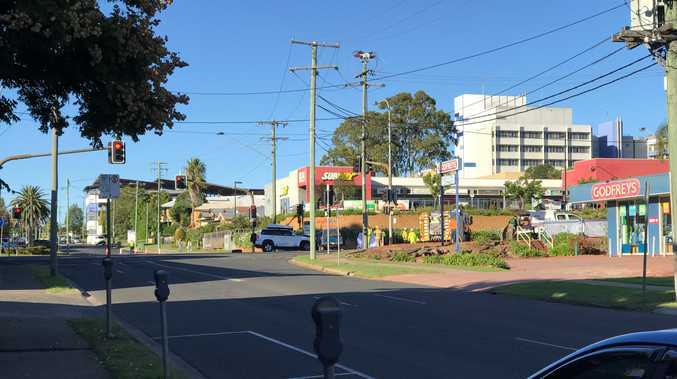 A Queensland Ambulance Service spokesperson confirmed paramedics had responded to a Scott Street address following reports someone had been impaled with a spear. She said the person appears to have injuries to their arm.